A few months ago, Jess Snyder of WETA posted about her experiences collaborating with TPT's Augustus Mayo, WNET's Will Tam, and SCETV consultant Aaron Crosman on a PHP client for the PBS Media Manager API, the resulting Drupal module she and Aaron have built, and the feedback she’s been getting from stations like WTTW on how to improve it. All this collaboration has been incredibly rewarding, but highly dependent on personal networks. Jess has had a lot of experience reaching out to other PBS station Drupal developers, and Will talks a lot with station developers about working with Passport, but running all of that talk through individual email conversations has been a little inefficient. 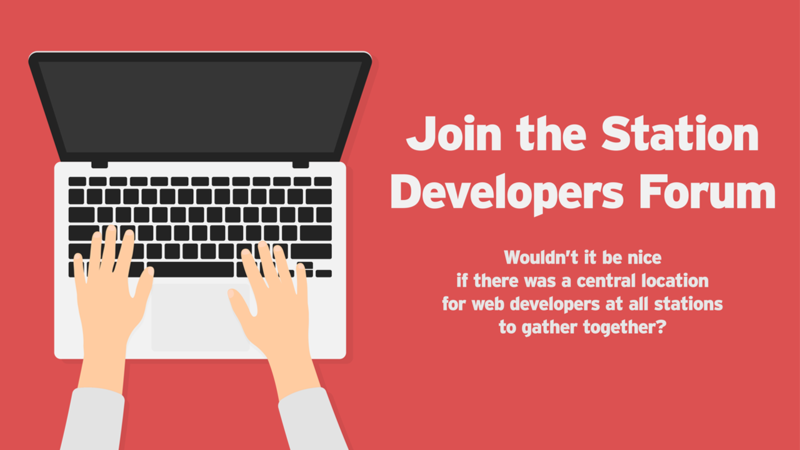 Wouldn’t it be nice if there was a central location for web developers at all stations to gather together and find folks who are working on similar platforms and projects that are ripe for collaborative efforts? So, Jess and Will contacted PBS's Kris Crosby, who gave his enthusiastic thumbs-up and put José Fernández on the case. José, Jess, and Will talked through the specifics and the result is the PBS Digital Station Developers forum in the Producers/Stations Support portal. Where station developers can share knowledge and ideas about building and enhancing their local station websites. Does somebody have a theme or a plugin that they recommend -- maybe it'll solve a problem you have. What's a good hosting solution? How do I make the Partner Player responsive? And just because your station.org website is built in Plone, Joomla, Cold Fusion, or something hand-built, don't think you can't participate! Where we can discuss the ins and outs of getting your station’s CRM, donation forms, mailing lists, stats and more all working together, share tips, tricks and best practices, and help enhance the relationships you're building with your station's members. The point of all of this is that our local PBS stations have great talent, and we're all trying to solve similar problems. Working together in a common (searchable) forum, we can make the most of that talent and share resources to best serve our local communities -- which is what PBS is all about. Please, come visit the PBS Digital Station Developers forum -- you'll need to log in with the same account you use to post tickets in the Producers/Stations Support portal. Make a quick post to introduce yourself and let your colleagues know who you are, and take a look around. If you've got a question about making the most of your local station website that isn't already answered, post a question. And if somebody asks a question and you know the answer, help out! We certainly will be doing so.